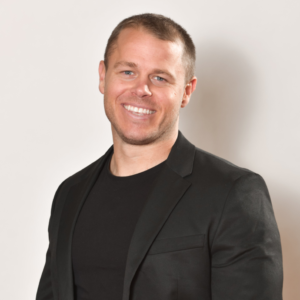 Travis Jones, Founder of Result Based Training gyms in Australia who has since grown the business to a $10 million dollar empire, with locations spanning all across Australia and has his sights set on the USA with two locations here already joins Entrepreneurial Fit Radio! What were the biggest hurdles on your way to building a 10 million dollar company? What is an out of the box tactic you have used in business to increase revenue? What do you think the number 1 trait an entrepreneur needs for success? I heard you made 1 million in sales in 8 weeks, how did this happen? What is life like being business partners with your wife? How do you continue to scale your company in a saturated market place? Do you ever have doubt or fear in business? They say true success is born. Vibrant, energetic and infectious as a youngster Travis Jones, or “TJ” as his friends call him, was inevitably going to achieve big things. After a decade of experience in the health and fitness industry, working for major companies from Fitness First, to stints internationally in Canada and the US, Travis Jones was obsessed with trail blazing through the industry and collecting as much experience and knowledge as he could before going out and launching his own business with no formal business qualifications. At the age of 27, Travis founded Result Based Training, a specialist body transformation gym in South Melbourne. He began his entrepreneurial journey not unlike many other entrepreneurs – broke and living with his dog in the upstairs office of the warehouse in South Melbourne that housed his gym. Three months in to starting his business, Travis faced the real possibility that he could lose it all – or what he did have left after selling everything and living in the gym to try to get the business off the ground. Travis then went on to take one of the next biggest risk of his business career, he needed an infrared sauna so started a Groupon campaign to sell vouchers to utilise the infrared sauna in his gym. The only problem with this was; he did not have the sauna, and didn’t have the money to buy the sauna or pay his next month of rent that was due on the building! This risk was one of the most riskiest moves Travis admits to, but it paid off! Within 10 days, Travis sold 800 vouchers, generating the money he needed to buy the sauna and pay the month of rent that was almost due. 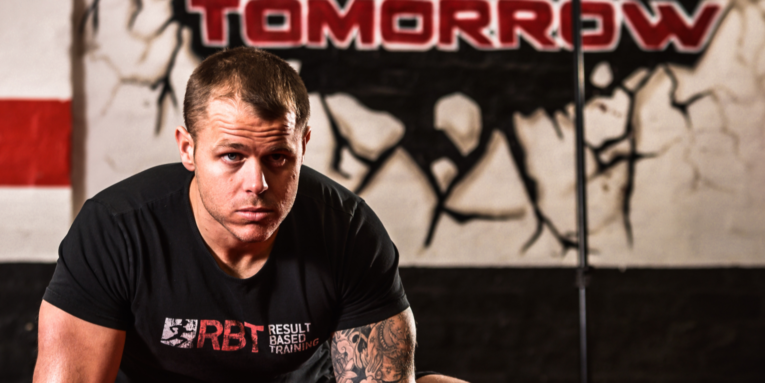 Known for being the man who has never written a business plan, Travis’ ‘do what it takes’ mantra and work ethic helped grow Result Based Training into an internationally recognised gym, launching six gyms across three states within the first 24 months. The last five years has seen the growth of Result Based Training from one gym in 2013 to 21 by February, 2018 and now has revenues in excess of $10 million dollars. Together with wife, Liv Jones, the couple went on to establish their cutting-edge coaching business, Think Tank Australia (formerly the TJ Story), which was created to help guide and coach SME’s on how to grow their businesses into successful brands. Travis Jones’ business smarts have seen him have a history of building businesses rapidly, with Think Tank Australia growing from $0 dollars, to having a $1.5 million turnover within its first year. If that wasn’t enough, in 2017, the couple founded Attain Digital Agency – a digital marketing agency that began producing over $500,000 of sales before they even launched their company website and manages over $1.5million dollars’ worth of client marketing campaigns in the first year and has over 8 full-time employees.